SNORKELING the reef off Nu‘alolo Kai, located along the NAPALI COAST, is a magical experience. The fringing reef extends 600 feet from the valley and teems with colorful fish and sea creatures. NU‘ALOLO is an ancient and wildly beautiful valley once occupied by early Hawaiian settlers who established a fishing village and lived there in near-isolation for some 800 years. Considered a significant archaeological site, structural remains of the village are still visible. Getting there is the challenge. Nu‘alolo is neither easy to find nor access. 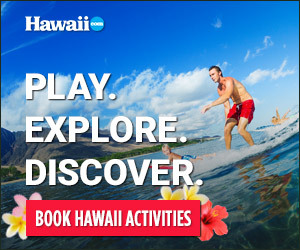 Your best bet is to book a tour with a boat or rafting company, like KAUA‘I SEA TOURS, NA PALI RIDERS, CAPTAIN NA PALI ADVENTURES or NA PALI EXPLORER, all of which put in for snorkeling and tours of the archaeological sites. Tours of the fishing village include stops at the remains of a large heiau (temple) and several house sites. It is believed that some of the structures had been occupied from the 12th through the early 20th century.